"What is light and heat, and how are they evolved? and why are they so intensely perceptible as emanating from the solar world? "light and heat, considered theoretically, belong to the highest orders of the phenomenal. They can only be accounted for by the velocity of sympathetic streams, as interchangeable to and from centres of negative and attractive focalization. In considering the velocity of vibration, as associated with the projection of a ray of light, to be at least one hundred thousand billions per second, it is easy to account for the origin and demonstration of these two elements by the action of celestial sympathetic streams. Q.: What argument would be most conclusive to prove that sun is not hot at surface? 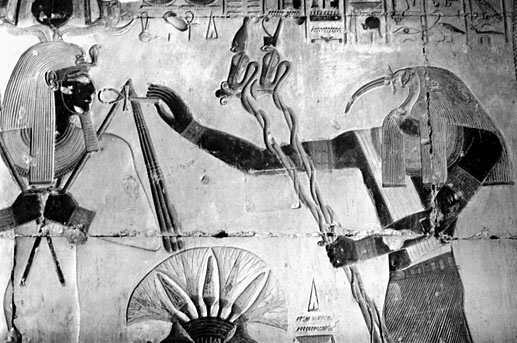 Figure 14.02 - Thoth, the Sun God, giving Life Force implying this Life Force (Breath of Life) comes from the Sun and is breathed in. "See the immediate center of our solar system. Thou wouldst call it a dynamo, the great dynamo of the system. Right wouldst thou be, and wrong also. The attempt to define the sun as an analogue to a dynamo-electric machine has much to support it. But to define it as identical is erroneous. The trouble with that theory is the trouble which lies at the root of and weakens all other theories to account for sun-heat and sunlight. It is that science does not assign a sufficiently high value to the sun. The combustion theory is invalid; the solar mass contradiction theory is but partially tenable and meteoric showers do not account better that the first two. Neither does the electric-dynamo theory. Truly, the latter explains how sun-heat and sunlight may coexist and not be inharmonious with the awful degree of cold between earth, the planets and the sun. It explains that which denies the simple combustion theory so completely, viz. that the farther one goes from the earth center, either in a balloon or on a high mountain, the colder and colder the air gets, so that interstellar space is several hundred degrees below zero, and black as midnight, with the sun a luminous disc, without rays. But the dynamo theory does not explain the solar spectrum, nor the bands of spectra, nor coronal "flames," nor "sun spots," nor solar nor lunar eclipses." "I have said that the value accorded by astronomers is too small. Seeing fire, they would seek to explain by its means the sun. Finding this untenable, and aware that a contracting mass gives off heat, they next essay explanation on that hypothesis. But this will not do, nor will meteoric showers, nor any hypothesis based on facts now known, all are too low in aim; the Infinite cannot be explained by the finite, nor will less explain greater; fire is energy, and electricity is energy, and God is energy. But fire will not solve the query, "What is electricity?" nor will electricity answer "What is God?" but God will explain both the others, for the sum of the parts is equal to the whole. But as man does not know the full number of the parts, the partial sum he does know will not explain God." "Nature has a dual aspect, is double, is positive and negative; that the great positive side is the side known as mundane science, while the other or negative, or "Nightside," or, as it was once known in the earth by the men of Atla (Atlantis), "Navaz," is a side all unknown, and scarcely quested in the most exceeding flights of speculation, left unbroached, secretly kept by a few, who know not that they entertain an angel, an angelic wisdom that in a century more, yea, less time! shall overturn much of the face of terrain things, shall bestow aerial vessels, and all else once known to those men of Atl of whom I spoke." "The suns of systems are centers of forces of the Nightside of Nature whereof I spoke, and are force, and matter of a higher value than are planets and satellites, just as water above a cataract is water, truly, but being above and mobile, flows over and down, developing energy. In other words, out of the cold, dark, negative side, or "Nightside," force emerges, drawn to the positive polarity which constitutes in its outgoing flow that termed Nature, and develops in its fall, magnetism, electricity, light, color, heat and sound, in order of descent, and lastly solid matter, for this latter is a child of energy, not its parent. 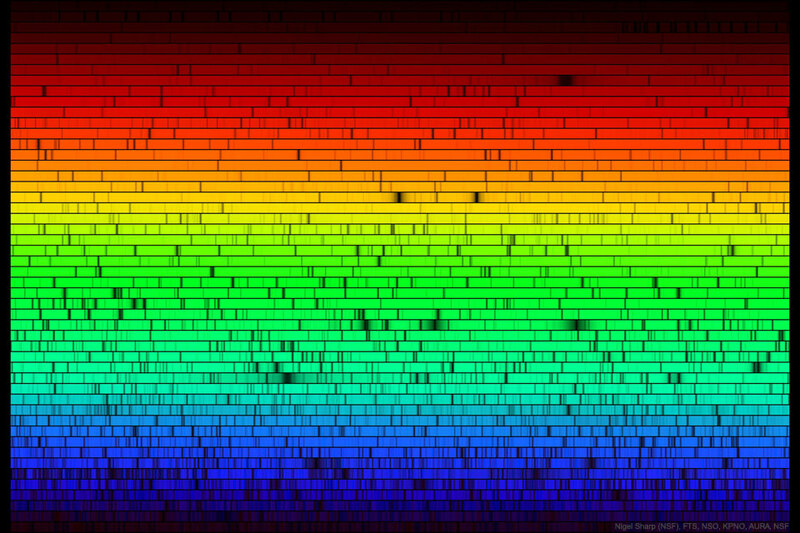 When the Navaz forces drop to light, if the light waves enter a spectroscope, they will emerge as colors; these will correspond to the various spectrum bands, and will, as the descend progresses, give the noted lines of the solar spectrum, as the great "B" line of oxygen, the conspicuous "1474" line, and the brilliant "H" and "K" violet bands." “...for all the force that is valid on earth radiates and emanates exclusively from the Sun's photosphere, and this without the visible mediation of any important substance, and overcomes this twenty — million mile space, which separates the sun from the Earth, almost without time, if in this space does not collide with any material resistance-and the observed delay of sunlight is not a consequence of overcoming space, but from resistance of the earth's atmosphere.